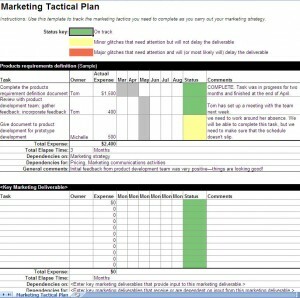 Use this template to track the marketing tactics you need to complete as you carry out your marketing strategy. Use the status key to monitor the completion of assigned tasks. This template was downloaded from Excel 2007 using the Office Button and selecting New. 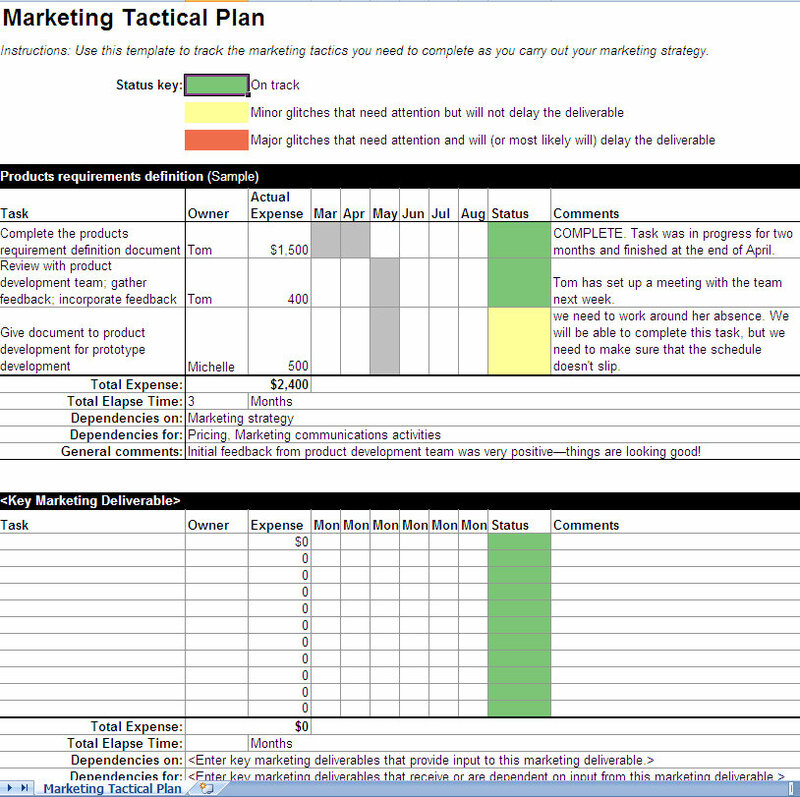 Download the Marketing Tactical Business plan for free today! Click on these links for additional information on Excel business plan templates or writing a business plan.